There are many capabilities that a project manager requires to be effective. Not only high level planning, scheduling and organisational skills, but also the ability to build and maintain positive relationships with a variety of different stakeholders. The following questions offer some examples of what could be asked as part of the interview – many of which are behavioural questions. What project management methodology are you most familiar with? Tell us about a recent project you managed – what specific strategies did you use to monitor and control the status of the project? What methods have you used to manage project risk? Give us an example of a significant technical problem that arose during a project and what problem solving steps you took to deal with it? When you are making resource allocation decisions, how do you judge the relative priority of competing demands within the project? Tell us about an occasion when a project you were leading was not meeting performance milestones – how exactly did you go about attempting to get the project back on track? What strategies have you used to keep your project team motivated and build co-operative spirit? What planning and scheduling software do you prefer to use and why? Tell us about a time when you needed to address a project team member with a concern you had about their performance – how exactly did you handle the discussion and what was the outcome? How do you handle attempts at “scope creep” by clients? Tell us about a demanding client you have had to handle – how exactly did you manage their expectations? What strategies do you use to build positive relationships with project stakeholders? What steps did you take in the closing phase of the last major project you worked on? In addition to your nominated referees – who else could we contact who could comment on your ability to positively manage client relationships? 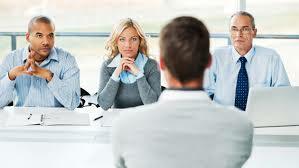 Any interview question that is asked should be connected to evaluating candidates against position requirements. Our Recruitment training course shows participants how to plan and conduct an effective selection interview – and represent your business in a professional manner to job candidates.